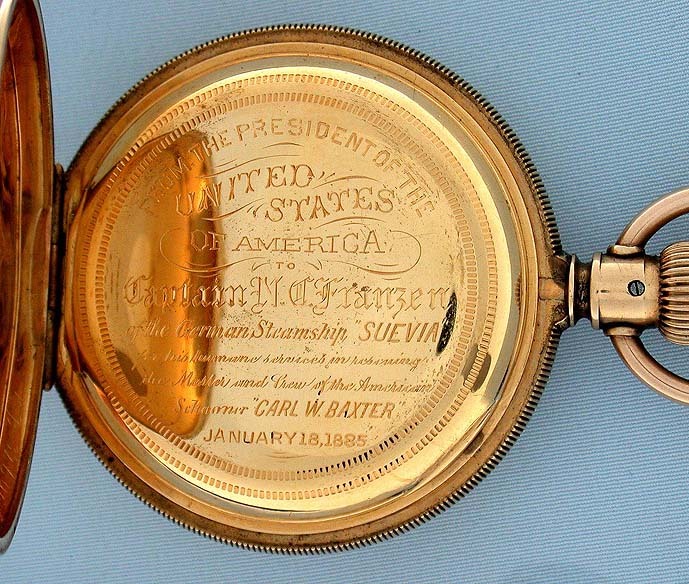 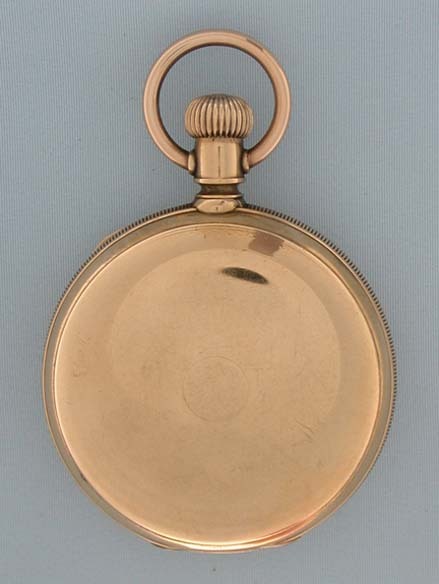 Rare 14K gold United States presidential presentation antique pocket watch circa 1882. 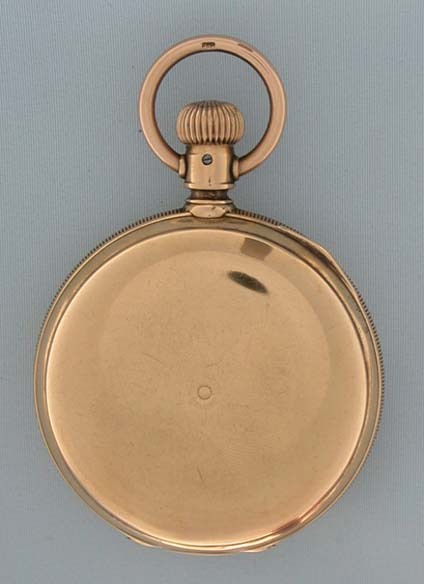 14 K gold worn case with coin milled band. 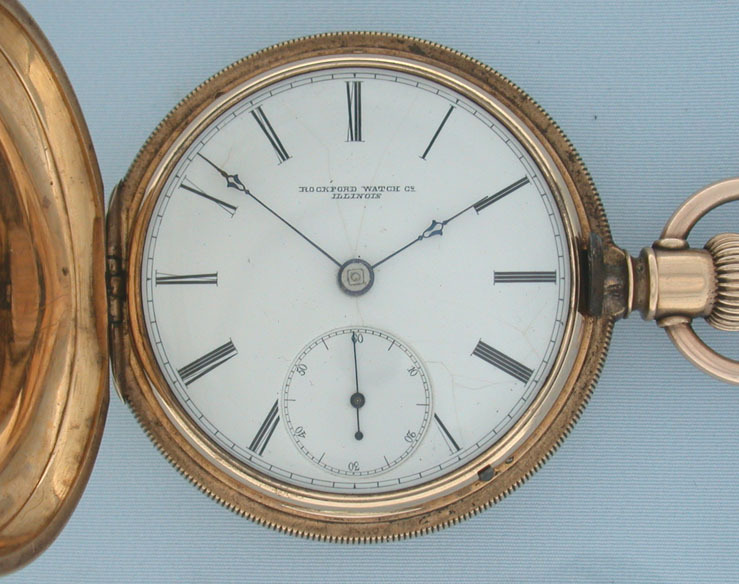 White enamel (hairlines) dial with blued steel hands. 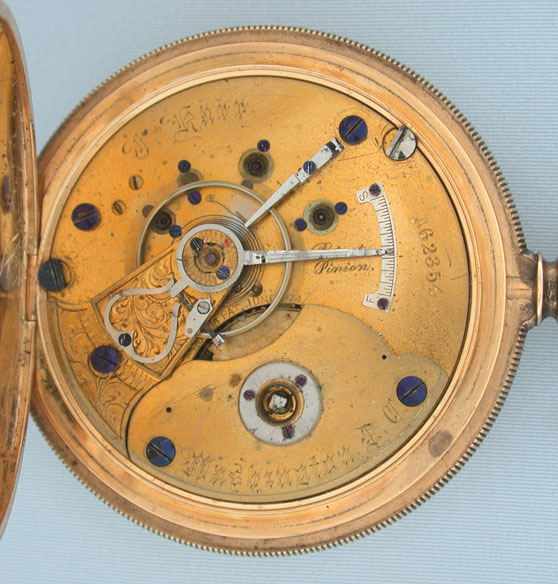 Gilt 15 jewel 18/S transitional keywind/stemwind Rockford movement.